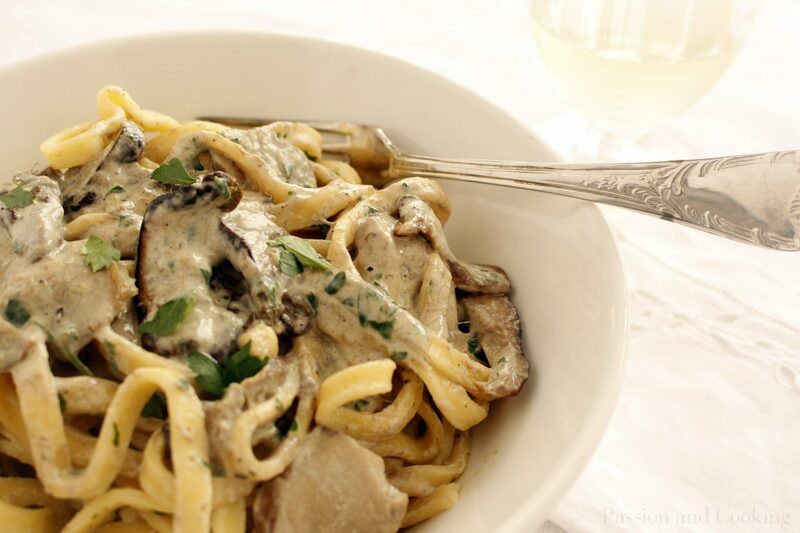 Tagliatelle with porcini (pronounced “por-CHEE-nee”) is a tasty and inviting first course with an intense nutty flavor, a special autumn treat. This year in Italy we had a very rainy summer, so at the end of August, earlier than usual, we were already able to enjoying this delicacy. It is fun to pick mushrooms in the woods in a warm autumn day with your friends. Then cook them together while enjoying a glass of fragrant wine. Porcini are very versatile; I use them to prepare lasagne, risotto, roast fillet and crepes, too. 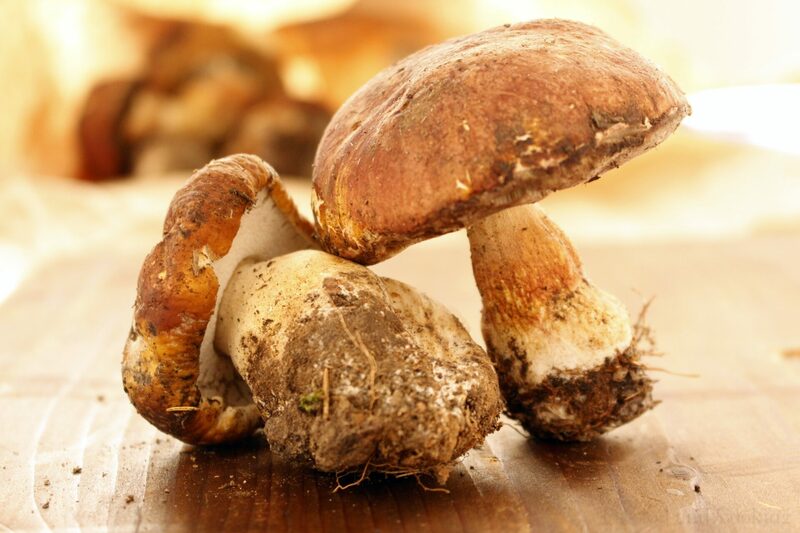 If you cannot find fresh porcini you can substitute dry ones soaked in hot water (not boiling) for 20 minutes. 3. Drain pasta, reserving 50 ml (1/4 cup) of cooking water. Transfer pasta to the pan with the sauce. Add cooking water and toss gently. Serve with Parmesan (according to your taste). If you like a very intensive mushroom flavor do not use Parmesan. I am a Parmesan eater, though, and I prefer my tagliatelle with it. My second book: THE MAMMA MIA! DIET -The secret italian way to good health.